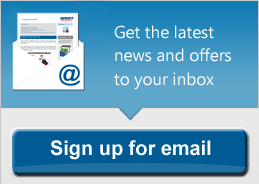 West Control Solutions, a global specialist in temperature and process control, has released the latest in a series of free, instructive whitepapers. The new paper provides guidance on cascade control, including what it is and why it is used as well as application examples and set up information. The white paper is a useful tool for those thinking of using or specifying a cascade control system. That is, a control method used in dual stage processes in which one substance is used to change the temperature of another. Such systems can be used in processes including milk pasteurisation and in heat exchangers for industrial building heaters. Applications where one material heats another are difficult to control with a single control loop, resulting in temperature overshoots and lags that can damage product quality and efficiency. If a dual loop controller is used, with two inputs which are cascaded in series, the single device regulates the temperature across the two substances, balancing the system. The result is maintained product quality and increased energy efficiency. West Control Solutions’ Cascade Control white paper explains how these valuable systems are set up. As such, the paper is useful to those wishing to learn about or considering installation of such a system. Download the Cascade Control Whitepaper to find out if you will benefit from using cascade control in your industry.